Afghanistan is a poor and fragile state – and dependent on the assistance of the international community. Of Finland’s development cooperation partner countries, Afghanistan receives most assistance, approximately EUR 28 million per year. This is used, among other things, to improve opportunities for girls to attend school, civilian police activities and women’s rights to family planning. the development of the economic base, particularly support for rural trades as well as improving the prerequisites for the sustainable use of Afghanistan’s natural resources. Finland’s development cooperation funding to Afghanistan is channelled mainly via multilateral actors such as UN agencies and the World Bank. This includes humanitarian assistance and support to civil society organisations as well as the funding of civilian crisis management that meets the OECD criteria for development cooperation. Afghanistan's weak internal security is a major problem and an obstacle to development in the country. Poverty and unemployment have recently increased, despite mitigating efforts. One of the key challenges in Afghanistan is the achievement of development in rural areas. Afghanistan’s maternal and child mortality rates are still among the highest in the world, and the position of women is among the weakest in the world. Children, people with disabilities and other vulnerable groups, such as prisoners, are also susceptible to human rights violations and abuse. Citizens’ knowledge of their rights is deficient, and other flaws in the legal system are a serious problem. 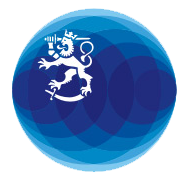 In 2017, Finland is cooperating with four Finnish civil society organisations in Afghanistan: Fida International, the Swedish Free Church Federation in Finland (Frikyrklig Samverkan), the Finnish Red Cross and Väestöliitto. Finland will fund civil society organisations’ development cooperation projects in Afghanistan with a total of just over EUR 600,000 in 2019. The activities of the organisations are focused on promoting the health and well-being of vulnerable people and empowering ethnic minorities. Afghanistan has been a partner country of Finnish development cooperation since 2002. According to Afghanistan’s development statistics, considerable progress has been made, for example, in basic education and health care, but development has not been as positive in all sectors. The health of mothers and children has been improved and maternal mortality has been reduced. Sexual and reproductive health services are provided in difficult circumstances through mobile clinics and a telephone help line, for example. Marie Stopes International, an organisation supported by Finland, has succeeded in making family planning more acceptable amongst the population. Whereas in 2014, family planning services were used by around 160,000 women, in 2017 there were over 280,000 customers. The literacy of women and girls has been improved and girls’ education has increased. There are now more than three million girls attending school, whereas girls did not attend school at all in the early 2000s. There has been investment in the training of female teachers, and they have been encouraged to remain in their work, thereby also supporting girls’ opportunities to study. Water supply and sanitation have been improved in hundreds of schools. The improvements have affected around 81,000 pupils and 1,800 teachers since 2010. In schools, pupils have received guidance on hygiene and the use of sanitation facilities. Particular attention has been paid to ensuring that sanitation facilities for girls correspond to their needs. The living conditions of inhabitants in tens of thousands of villages have been improved via the projects of the Afghanistan Reconstruction Trust Fund (ARTF). Health centres, schools and roads have been constructed in response to peoples’ most important needs. The Law and Order Trust Fund for Afghanistan (LOTFA), established by the UN Development Programme (UNDP), has worked with the Government of Afghanistan to build a civilian police organisation and rule of law in Afghanistan. The number of police officers and their competence level have gradually risen; in 2017 there were around 150,000 police officers. Around 2,000 women police officers have been trained. LOTFA has improved the security of the civilian population, and it has succeeded in developing a system for the regular payment of salaries to police officers and prison guards. The risks associated with development cooperation are reduced by close monitoring of projects and programmes, and by maintaining contact with partners and the country’s administration. Every project funded by Finland has a risk management system aimed at identifying and minimising risks. It is also important to prepare the projects carefully before they begin, and to take into account the experience gained from projects already completed. The Afghanistan Reconstruction Trust Fund (ARTF) is the most important development instrument for Afghanistan. It supports the country's key state-funded investment programmes, particularly in the development of the economic base and basic services. Finland’s assistance to ARTF has stabilised at around EUR 10 million per year. The Rural Development Programme (Citizens Charter, CC) supports the recovery of economic activity, particularly in poor remote areas. Funding for the programme comes via the ARTF, and it is administered by the World Bank. Of Finland’s assistance to the ARTF, one quarter, approximately EUR 2.5 million per year, goes to the Rural Development Programme. The Geological Survey of Finland (GTK) is continuing a project, which aims at enhancing the skills and knowledge of geophysicists working in the Afghanistan Geological Survey (AGS) and improving the capacity of the Ministry of Mines and Petroleum to prospect minerals and manage the country’s mineral resources. The project's main objective is to promote cooperation between the authorities, educational institutions, and businesses. Finland's support to the project in 2018–2021 will be somewhat over EUR 3 million. The Law and Order Trust Fund (LOTFA), established by the UNDP, is the principal channel of assistance supporting and reforming Afghanistan’s police operations. Finland supports the fund with around EUR 4.5 million per year. Finland supports a regional project of the UN Office on Drugs and Crime (UNODC). The project aims to increase cooperation between the countries of region in counter-narcotics activities. The Afghanistan Independent Human Rights Commission (AIHRC), based on the country’s constitution, is the country’s most important human rights actor. The AIHRC’s main tasks are the promotion of women’s and children’s rights, human rights education, monitoring of human rights, and advancing the rights of people with disabilities. The AIHRC supports the Government of Afghanistan as an advisory body in human rights issues. It also gives direct support to citizens. Finland has supported the AIHRC’s work with EUR 2.2 million in the period 2014–2018. Finland supports opportunities for women to participate in peace-building, reconstruction and conflict prevention. The work is based on UN Security Council Resolution 1325 “Women, Peace and Security”. Afghanistan has a national action plan to implement the resolution. Finland will support the implementation of the plan via UN Women, the United Nations’ organisation dedicated to gender equality, with a total of EUR 600,000 in the period 2017–2019. Finland supports a UNESCO project aimed at improving the literacy of women and girls in particular. The education sector is also supported via the ARTF’s EQRA programme. Finland funds these projects with EUR 3,5 million per year.